Those are some really great pieces! 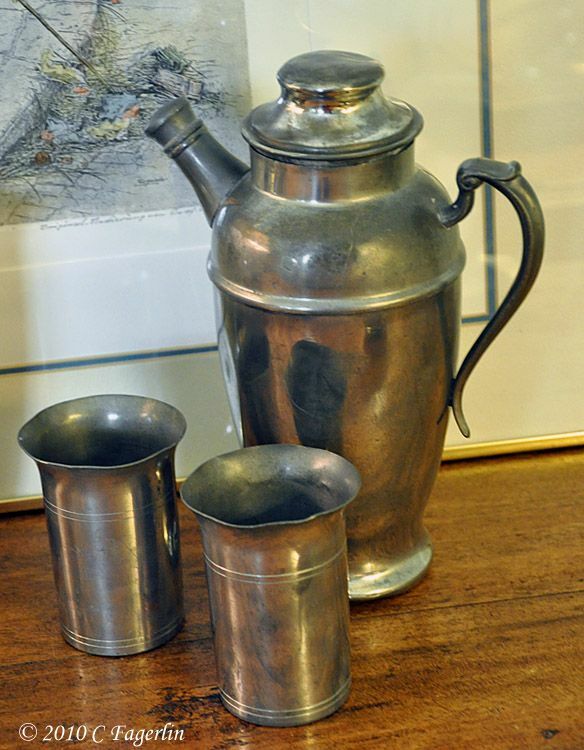 I love old pewter! I have some pewter I just love it. Your is wonderful. They have such a nice aged look! Pretty! Such wonderful patina on those pieces. 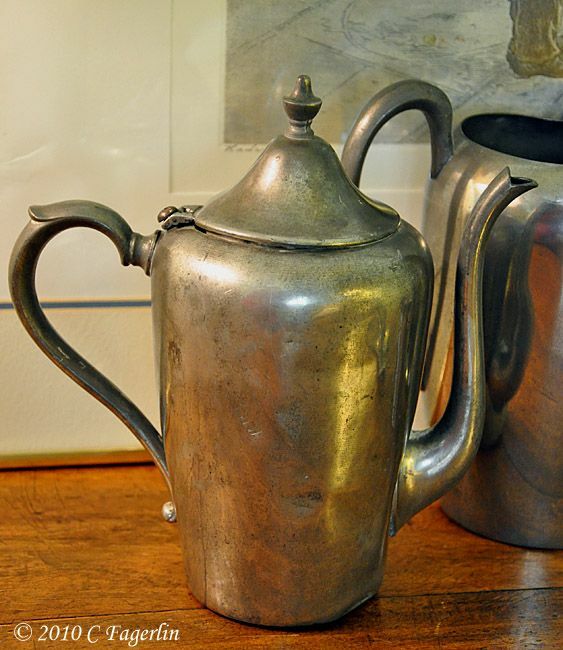 Love all your pretty pewter! Please stop by and visit me and my silver anytime! Just love your yummy pewter! thanks for coming to the party see you next month. Lovely pieces, all! Happy Silver Sunday! I think I like these pieces as much if not more then silver pieces. They are so simple in design and would have been great everyday pieces. Very nice! 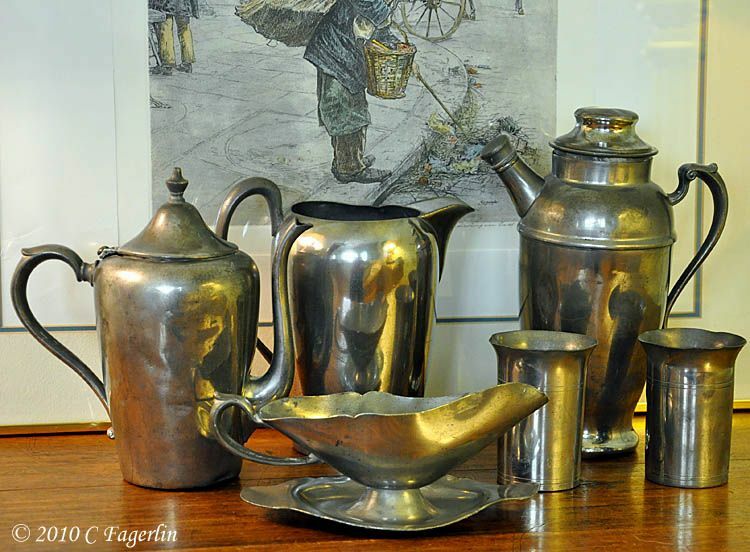 I have a large collection of old and new pewter...well it used to be new 40 years ago when I started collecting it. I rarely use it now but should start again. Thanks for the reminder and I hope you are having a very sweet Silver Sunday. Visit if you can. 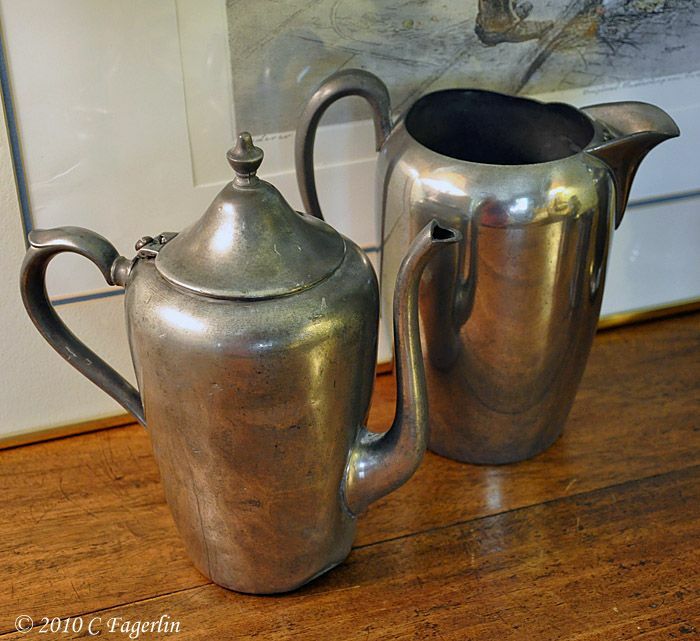 I like your collection of very nice old pewter things. I use some pewter pieces, also. They have such a warm and cozy shine. Wonderful old patina on those pieces!! Thanks to all of your for your lovely comments and for stopping by for Silver Sunday. Such a fun party!